Night RVN needed to locum at a friendly practice in Surrey, this will start ASAP and will finish in May. Night Nurse needed to locum at a friendly practice in Surrey, this will start ASAP and will finish in May. A great RVN position has just come available at a busy practice in Surrey, this is to start ASAP and will finish around the end of May. You will receive a competitive salary, great benefits package and a fantastic rota (No OOH) which will give you a great work/life balance. We are looking for a RVN who would be interested in a floating post around 8 different clinics to cover sickness and holidays at a practice in Guildford, Surrey. We are currently looking for a Night Vet to join a team in Guildford, Surrey covering maternity leave initially you will be contracted for 6 months. Small Animal Vet needed to locum at a well equipped practice in Surrey. You will be join a team of vets and nurses who strive to give the best clinical care the pets that enter the practice. Weekend Vet needed to locum at a friendly practice in Surrey. You will work alongside an enthusiastic team of vets and nurses. Great working rota to be offered as well as competitive salary. Small Animal Vet needed to locum at a busy practice in Surrey. We are looking for a Small Animal Vet to locum at a busy practice in Surrey. You will benefit from a great working rota of mornings only as well as a competitive salary. We are looking for a Small Animal Vet to locum at a friendly practice in Surrey. You will benefit from a great working rota as well as a competitive salary. We have a new opportunity for a Night Vet to locum at a fantastic practice in Surrey. An exciting upcoming opportunity for a Weekend Vet to locum at a fantastic practice in Surrey has arisen. Competitive salary is on offer for this role as well as a great rota. An exciting opportunity for a Small Animal Vet to locum at a busy friendly practice in Surrey has arisen. You will benefit from a great working rota. An opportunity for a Weekend Vet to locum at a well equipped practice in Surrey has arisen. A competitive salary is on offer as well as a fantastic working rota. An opportunity for a Small Animal Vet to locum at a really friendly practice in Surrey has arisen. We have a new and upcoming opportunity for a Weekend Vet to locum at a busy practice in Surrey. You will work alongside a fantastic team of vets and nurses who will support you throughout your time here. We have an upcoming role for a Night Vet to Locum at a well equipped practice in Surrey. A new opportunity for a Weekend Vet to Locum at a well equipped practice in Surrey has arisen. An exciting opportunity for a Weekend Vet to Locum at a friendly practice in Surrey has arisen. We have a new and exciting opportunity for a Weekend Vet to Locum at a busy practice in Surrey. We have a new opportunity for a Small Animal Vet to Locum at a well equipped practice in Surrey. A fantastic opportunity has arisen for a Night Vet to Locum at a well equipped practice in Surrey. We have a new opportunity for a Small Animal Vet to Locum at a friendly practice in Surrey. This is to cover the period of around 2 months. A new opportunity has arisen for a Small Animal Vet to Locum at a friendly practice in Surrey. This is a placement for around a week. A competitive salary is on offer. We have a lovely opportunity for a Small Animal Vet to Locum at a busy practice in Surrey. We have a lovely new position for a Small Animal Vet to Locum at a friendly practice in Surrey.  A new position for a Small Animal Vet to Locum at a friendly practice in Surrey has arisen. We have a new position for a Weekend Vet to Locum at a Busy practice in Surrey. You will join a great team of enthusiastic vets and nurses who strive for the success of the growing practice. We have an exciting opportunity for a Night Nurse to Locum at a friendly practice in Surrey. A new role that has become available for a Night Nurse to Locum at a friendly practice in Surrey. You will be thoroughly supported throughout your time at the practice. A new role that has become available for a RVN to Locum at a friendly practice in Surrey. You will work with a dedicated team of Vets and Nurses. We have a new role that has become available for a Night Nurse to Locum at a busy practice in Surrey. You will work with an enthusiastic and dedicated team. A new role has arisen for a Night Nurse to Locum at a busy practice in Surrey. You will work alongside a great team who will support you throughout your time at the practice. You will benefit from a competitive salary and other great benefits. 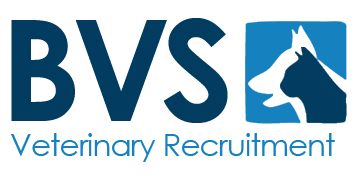 A great position has become available for a RVN to Locum at a busy practice in Surrey. You will be a great team player with a great work ethic. This role requires an immediate start, you will benefit from a great rota, no OOH and accommodation can be provided. A great position for a Weekend Vet to Locum at a busy practice based in Surrey has arisen. We have a new position for a Small Animal Vet to Locum in a beautiful practice based in Surrey. You will join a fantastic team of vets and nurses who are committed to their clients and their pets. This role is to start immediately and cover around a 2 month period, you will benefit from a competitive salary. A fantastic opportunity for a Small Animal Vet to Locum at numerous sites in Surrey has arisen. You will join a fantastic team of vets and nurses based across a few practices in the area of Surrey. This role is to start immediately with a competitive salary on offer. A fantastic opportunity for a Small Animal Vet to Locum at a busy practice in Surrey has arisen. You will join a fantastic team of vets and nurses. We have a great opportunity for a Small Animal Vet to Locum at a friendly practice in Surrey. You will join a fantastic team of vets and nurses. The team strive to promote the best care to their patients as well as the practices growing success. We have a fantastic opportunity for a Weekend Vet to Locum at a busy practice in Surrey. You will join a great team of vets and nurses who strive to promote the best care to their patients. A great opportunity for a Small Animal Vet to Locum at a busy practice in Surrey has arisen. A great opportunity for a Weekend Vet to Locum at a friendly practice in Surrey has arisen. You will work with a great team of vets and nurses who are dedicated to taking outstanding care of the clients and their pets as well as promoting the success of the ever growing practice . Competitive salary is on offer as well as other great benefits. We have a great opportunity for a Small Animal Vet to Locum at a busy practice in Surrey. You will work with a great team of vets and nurses who are dedicated to giving the absolute best care to their clients and their pets. A great opportunity has arisen for a Small Animal Vet to Locum at a friendly practice in Surrey. You will work with a great team of vets and nurses who will offer you a great deal of support throughout your time there. We have a new opportunity for a Locum Night Veterinary Nurse to join a friendly practice in Surrey. We have a new opportunity for a Locum Veterinary Nurse to join a friendly practice in Surrey. This position requires an immediate start, accommodation is available and you will benefit from no OOH. A great opportunity for a Small Animal Vet to Locum at a friendly practice in Surrey has arisen. You will be working alongside a team of dedicated vets and nurses who take great pride in caring for their clients and pets to ensure they receive they best healthcare. We have an opportunity for a Small Animal Vet to Locum at a practice in Surrey. You will be working alongside a team of dedicated vets and nurses who provide excellent care to both their clients and pets. A competitive salary with a great benefits package are on offer. We have an opportunity for a Small Animal Vet to Locum at a friendly practice in Surrey. You will be working alongside a team of enthusiastic vets and nurses who provide excellent care to both clients and their pets. A competitive salary with a great benefits package. We have an opportunity for a Weekend Vet to Locum at a friendly practice in Surrey. The practice is well equipped including digital x-ray. You will be working alongside a team of enthusiastic vets and nurses who provide the best medical care to their clients and their pets. We have an opportunity for a Weekend Vet to Locum at a friendly practice in the Woking. You will be working alongside a great team of vets and nurses in a busy practice that deals with an interesting caseload. Competitive salary is on offer with other great benefits to suit your needs. We have an opportunity for a Weekend Vet to Locum at a friendly practice in Woking. You will be working alongside a great team of vets and nurses in a busy practice that deals with an interesting caseload. We have an exciting opportunity for a Small Animal Vet to Locum at a friendly well equipped practice in Surrey. You will be working alongside a team of dedicated vets and nurses. A competitive salary is on offer with other great benefits to suit your needs. We have an exciting opportunity for a Small Animal Vet to Locum at a friendly well equipped practice in Surrey. You will be working with a fantastic team of vets and nurses in a busy practice that has been steadily growing over the past few years. We have an exciting opportunity for a Small Animal Vet to Locum at a friendly well equipped practice in Surrey. A competitive salary is on offer with other great benefits. You will be able to start immediately. We have an exciting opportunity for a Small Animal Vet to Locum at a friendly practice in Surrey. A competitive salary is on offer with other great benefits. You will be able to start immediately. We have an exciting opportunity for a Small Animal Vet to Locum at a friendly practice in Surrey. The practice has been steadily growing for the past few years and are looking always looking to continue their success. Competitive salary is on offer with other great benefits. You will be able to start immediately. We have an exciting opportunity for a Small Animal Vet to Locum at a practice in Surrey. competitive salary is on offer with other great benefits. You will be able to start immediately. We have an exciting opportunity for a Small Animal Vet to Locum at a practice in Surrey. You will join a dedicate team of vets and nurses. You will be required to work the odd days/weeks with an immediate start. You will also benefit from a competitive salary and other great benefits. We have a great opportunity for an enthusiastic Weekend Vet to Locum at a friendly practice in Surrey. you will be joining a team of passionate vets and nurses. A great salary is on offer. We have a great opportunity for an enthusiastic Vet to Locum at a friendly practice in Surrey. you will be joining a team of passionate vets and nurses and will ideally want to work with small animals. Locum Vet required to start immediately at a friendly practice in Surrey. You will benefit from a great rota this may include some sole charge but no out of hours will be required, also on offer is a competitive salary with other great benefits. We have a great opportunity for a Night Vet to join a team in the Surrey area to cover maternity leave initially you will be contracted for a 6 month period. A unique opportunity has arisen within this sort after hospital in Surrey. We are looking for someone to provide on-going cover until they find a perm member of staff. Alternatively, if this role is not of interest, but you are looking for work, please don't hesitate to get in touch. An opportunity has arisen for either a perm RVN or a locum. The practice is an array of great facilities with a loyal client base. You will have the opportunity to work with an experienced team of vets and nurses, expanding on your skills and experience. If you are looking to work with a motivated and friendly team, this is the opportunity for you. We are looking for a friendly Vet to provide cover for various date, at a lovely practice in Surrey. The practice benefits from a fantastic array of facilities with the capacity to treat a wide variety of cases. We are looking for someone who is confident with all routine surgery and that gets on well in a team.